What better way to keep all of the kids at the party enthralled than by hiring a magical entertainer to dazzle them with amazing feats and tricks? We’ve compiled a list of top magicians in NY that will amaze children and adults alike. KidsParties.Party also lists magicians by city and county in NY. Covering the whole of New York, Westchester, Staten Island, Brooklyn, Queens, Bronx, Long Island, and beyond! We offer a truly awesome range of kid’s party clowns, hilarious entertainers, brilliant magicians, costumed characters, face painters, super discos, bubble parties, balloon twisters and more. All our incredible kid’s parties are jam packed with hugely entertaining activities your children will love!! Watch as our Froggle party performers have you kids mesmerized from start to finish! Our amazing children’s party entertainment is completely unique to Froggle. We recruit and train our team of entertainers to do our own shows that are completely exclusive to us! 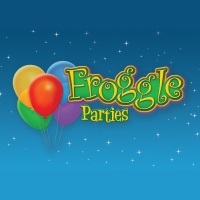 For truly memorable parties it must be FROGGLE PARTIES!!!! Steve Gives you Magic Shows and More! This magician is great fun for the whole family with his fun illusions, great sense of humor and amazing tricks. Each child at the party will get an opportunity to participate in Steve's magic show. 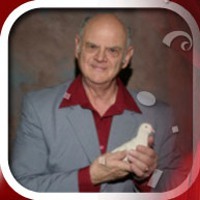 Steve's trained doves are always a big hit at kids parties and will delight all your guests. Steve can incorporate other acts into your party as well if you'd like to expand the show - he can include candy carts, face painting, costumed characters, jugglers and more. If this fun NY party magicians is already booked elsewhere on your party day, no fear! He has several highly recommended professional magicians who you can book so that your party can still happen with great entertainment. Qualified professionals who specialize in every event! Magical Memories Entertainment is a New York based, full service "Event Company" specializing in private parties such as birthday parties, bar/bat mitzvahs, weddings and sweet 16s. Founded in 2005 by Steven Burchard, Magical Memories Entertainment is dedicated to providing quality professionals for your special event. In the past few years Magical Memories Entertainment has grown to become the "One-Stop-Shop" for all your entertainment and party needs. Magical Memories Entertainment is one of the top entertainment companies servicing all of the United States. By having quality professionals located all over the country, Magical Memories Entertainment works with clients to provide them with the right entertainment at the right price. We offer DJs, photography, live entertainment such as magicians, jugglers, stilt walkers, balloon artists, face painters, photo booths and more. Madeleine the Magician is a consummate performer who has experience entertaining at a huge range of venues, from book signings and corporate events, to weddings and children's parties. When you book her to entertain at your children's party you will get to see her make your child the star of the show and delight all the guests. Madeleine has different shows depending on the age group of the children, and knows how to keep kids of all ages engaged and fascinated with her tricks. She can appear as a clown as well as her magical self! Funny Children's Magician in NY! Brian McGovern is a talented magician with an impressive resume. 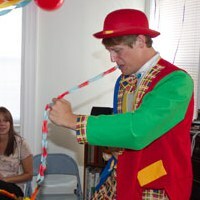 He has entertained and mesmerized audiences of all ages and is able to keep the guests of any children's party laughing. 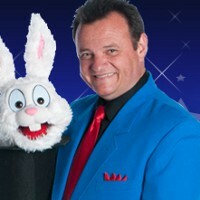 This wacky magician will perform mind-boggling illusions, sleight of hand and classic acts such as producing a live bunny! Brian knows that to keep young children entertained one must stay dynamic and surprising. In addition to his magical illusions he can also do a hilarious juggling routine and do balloon twisting for all the guests. Funny Magical Parties for Kids! Magic Evan specializes in children's magic and entertaining at kids parties where he is the life of the party. Fun for the whole family, Evan's magic is not only fascinating and unexplainable, but is also funny! The kids will be giggling from start to finish when you have Evan at your party. Children of all ages love watching magic tricks and seeing things disappear and re-appear right before their eyes. Each child at the party will get to take home his or her own balloon animal twisted by Evan and are sure to leave with a smile. The Silliest Magic Show Around! Choose the Silly Magician to entertain the children at your party and you won't regret it. 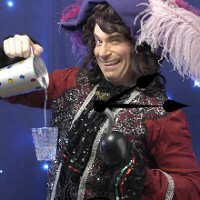 This hilarious purveyor of magic will have all the kids laughing and entertained from start to finish. 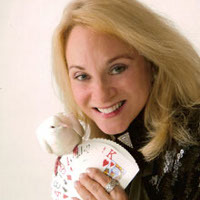 Both kids and adults find this fun NY magician interesting and fun. He will custom tailor his act to your specific party, so whether you have toddlers or teens, he will make sure his tricks and act are something that will appeal to their age group. Audience participation is a must at all of the Silly Magician's shows, and the kids are sure to be tumbling over each other to volunteer for his next trick. Unrivaled Comedy Magic in NY! 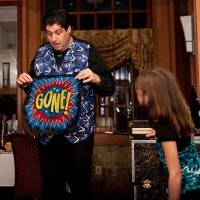 This fun children's magician in NY is sure to make your child feel special when you have him come do one of his great magic shows at your child's birthday party. 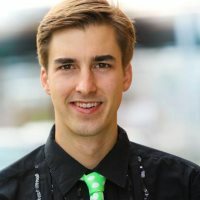 Joseph Fields is a comedic, musical magician who works primarily with children; he has over twenty years of experience in bringing smiles and laughter to children of all ages. Lots of audience participation makes Joseph's magic show fun for all. Your child and guests are sure to remember Joseph's magical show for years to come! Comedy Magic that is Fun for Everyone! 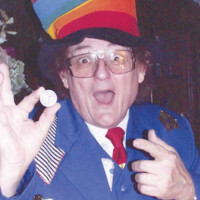 Domino the Great is a kids magician in New York who will delight audiences of kids at any event. Perfect to hire for your child's birthday party entertainment, Domino will have all the kids captivated by his amazing magic and funny antics. Even the adults at your party are sure to find Domino entertaining. 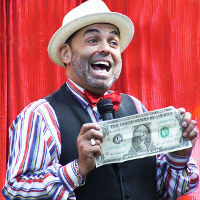 Domino's comedy magic shows are available throughout NY and are best for children ages 5-10 years old. The birthday child will be involved in some of Domino's fantastic tricks and audience participation is a must! Colorful and Fun NY Magician! 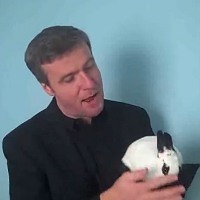 This great magician and performer will be a big hit when you hire him for your child's party. Whether it's a birthday or a special holiday party, Phil can tailor his show to meet your needs. Both kids and adults find Phil's illusions, sleight of hand and mentalism enthralling and will be entertained from start to finish. Magic, comedy, puppetry and balloon twisting can all be included in Phil's act depending on the ages of the kids involved. Accommodating and fun, Phil is a professional at his job and is sure to please your crowd. Colorful and Dynamic Magic Shows! This fun NY party magician is the perfect choice for a child's birthday party, a holiday party or other family event where you need children to be entertained. With shows that are best for kids from 3-8 years old, Candini's tricks and humor will keep your kids enthralled and smiling. A live rabbit - "Harvey" - and a live dove - "Gregory" - will be part of Candini's show and will especially delight young kids. Candini will use his over 30 years of experience to make your event a memorable and fun one. Some of the Top Party Magicians in New York! If you'd like brightly dressed clown magicians in NY for your child's party, look no further than Professional Kids Entertainment. These fun party entertainers are great at keeping children engaged and having fun from start to finish. When you book one of their magician packages you will get not only a magician but also a clown! 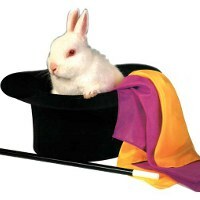 A magic show with a live rabbit will delight children of all ages, as will the face painting, singing, dancing, balloon animals and much more. These entertainers don't just do one thing - they keep the party dynamic and moving so the kids will stay engaged! 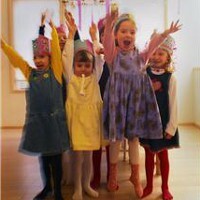 This great entertainment agency offers a wide range of performers and entertainers for kids parties across NY. When you choose their magician package you can decide how long you want the show to be, if you want the show to include live animals and whether or not you want to include add-ons such as face painting and cotton candy at the end of the show. Your child and guests will be thrilled as magical tricks, illusions and sleight of hand amaze them from beginning to end. This family owned and operated business is happy to work with you to customize your party so it is exactly as you imagined it would be. Mr.Magic has been in the entertainment business for more than twenty years and he uses his extensive knowledge and experience of performing to ensure that his shows are as fun and interesting as possible. A great choice for a child's birthday party, this party magician in New York will amaze all your guests, from kids to adults. Be enthralled as Mr.Magic performs seemingly impossible feats such as producing items out of thin air or making things disappear. 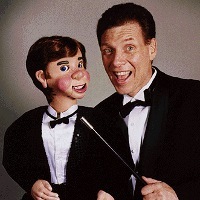 His sleight of hand and interactive illusions and tricks are great for kids. 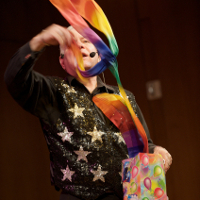 He can also combine his magic show with balloon twisting so each child has something fun to take home. This fun kids magician in NY has been wowing audiences across New York for many years and knows exactly how to keep kids entertained. Whether you are throwing a party for young kids or tweens, he can keep everyone oohing and ahhing from start to finish. Having performed for many types of kids events, at schools and even at the White House Easter Egg Roll John is very versatile. He is happy to work with you to create exactly the type of show you would like for your child's party. 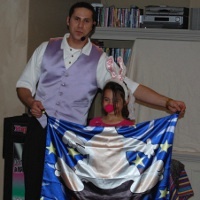 John specializes in shows that are family friendly and fun for both the children at the party and the adults! Magic and Wizardry from this Happy Kids Magician in NY! Happy Henry, a magician who has been entertaining in the tri-state area for many years bringing smiles to the faces of all who watch him. He can do sleight of hand and many original magical illusions as well as the classics such as the disappearing coin trick. Ask about extras such as balloon twisting, clowns, face painting and candy machine rentals to make your party a truly unforgettable event for all involved. Call Henry today with info on where, when and how many children will be attending your party and he can give you a free quote! Serving Long Island, NY and the surrounding areas, Gary the Great is a premier magician who is sure to make your party memorable. 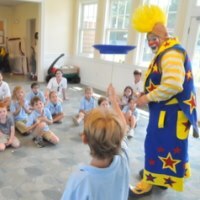 When working a children’s party, Gary utilizes a variety of techniques, including juggling, comedy, magic wands, walk-around magic and much more! This NY magician also tries to adapt each act on the spot to ensure that his guests are always entertained and having fun. If he happens to be performing an act for an adult audience, Gary the Great has a number of tricks up his sleeve that are sure to amaze everyone. His adult magic routines include both strolling magic and parlor magic, two methods that provide different magical experiences for guests. 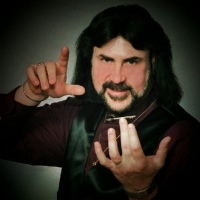 When performing a strolling magic routine, Gary tries to get everyone involved, performs close-up magic tricks for small groups of people and puts an emphasis on comedy. His parlor shows differ in the sense that they are more illusion based, intended to amaze you and will always feel improvised and intimate, no matter how many people are in attendance.